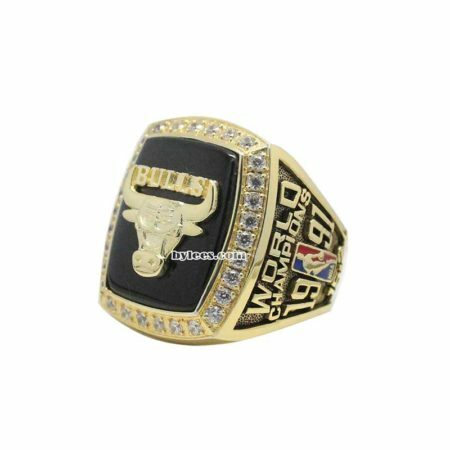 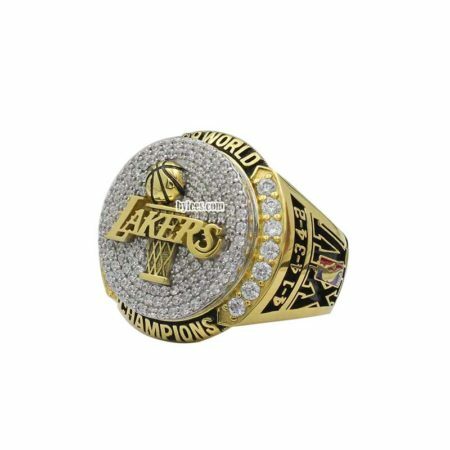 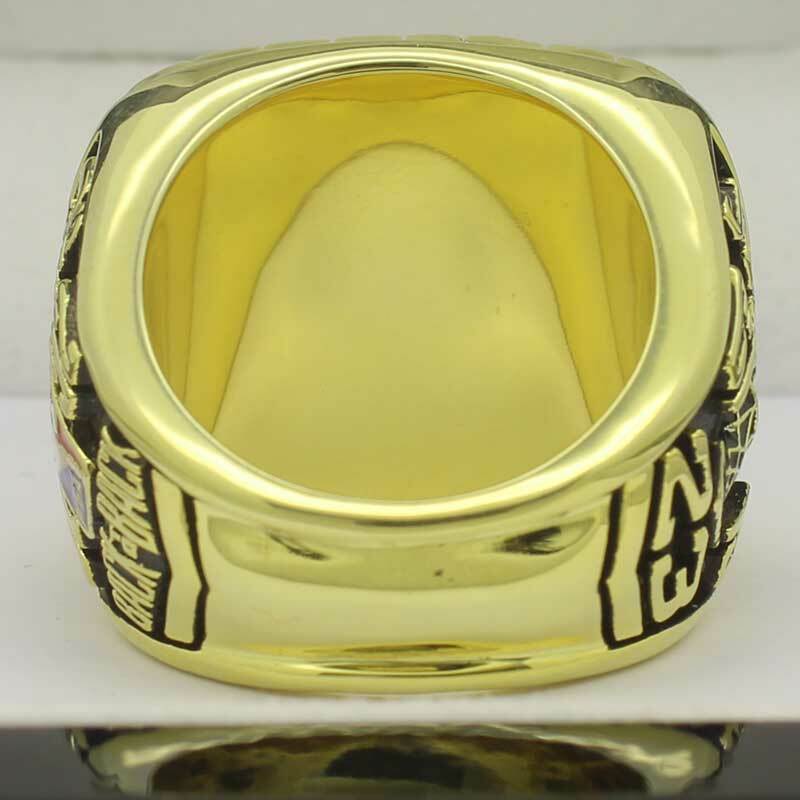 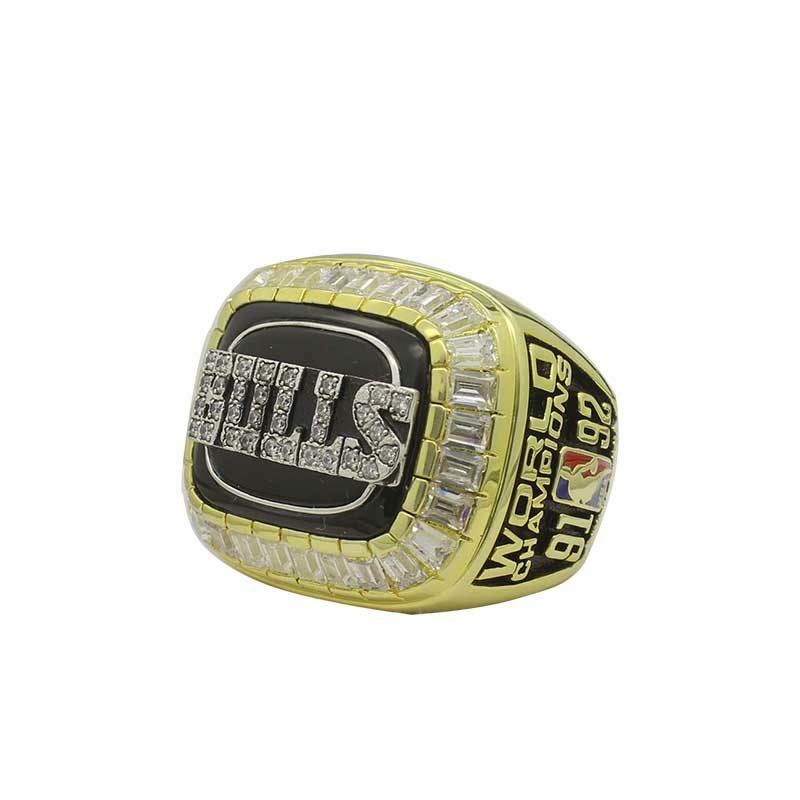 1992 Chicago Bulls NBA Championship Ring commemorated the NBA final championship victory in 1991–92 NBA season. 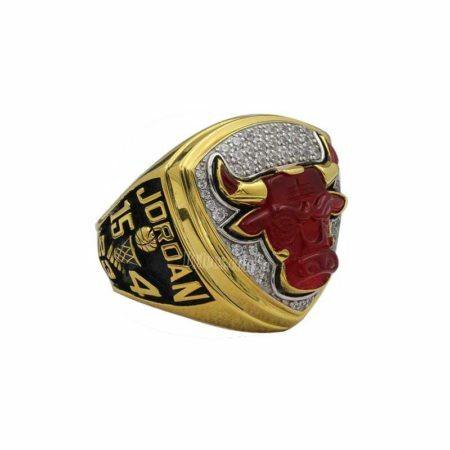 The version here is the Michael Jordon 1992 Chicago Bulls Championship ring replica, it didn’t continued the style of 1991 bulls championship ring and the Bulls was crafted by letter on the top instead of icon, and the world champions was engraved on the side panel with NBA finals logo. 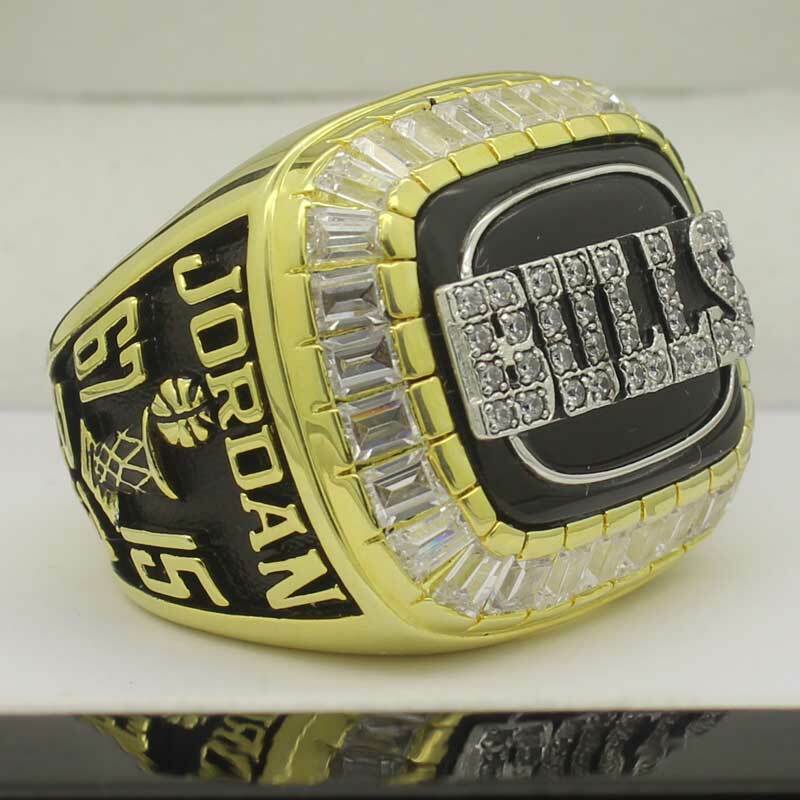 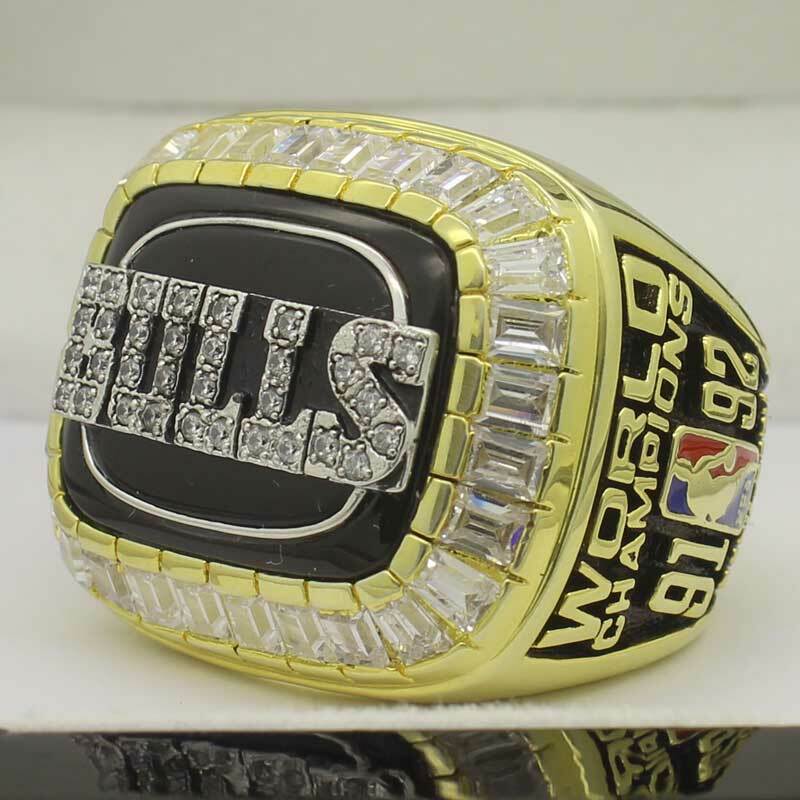 so generally the design of 1992 Bulls NBA championship ring was simple and not very stunning. 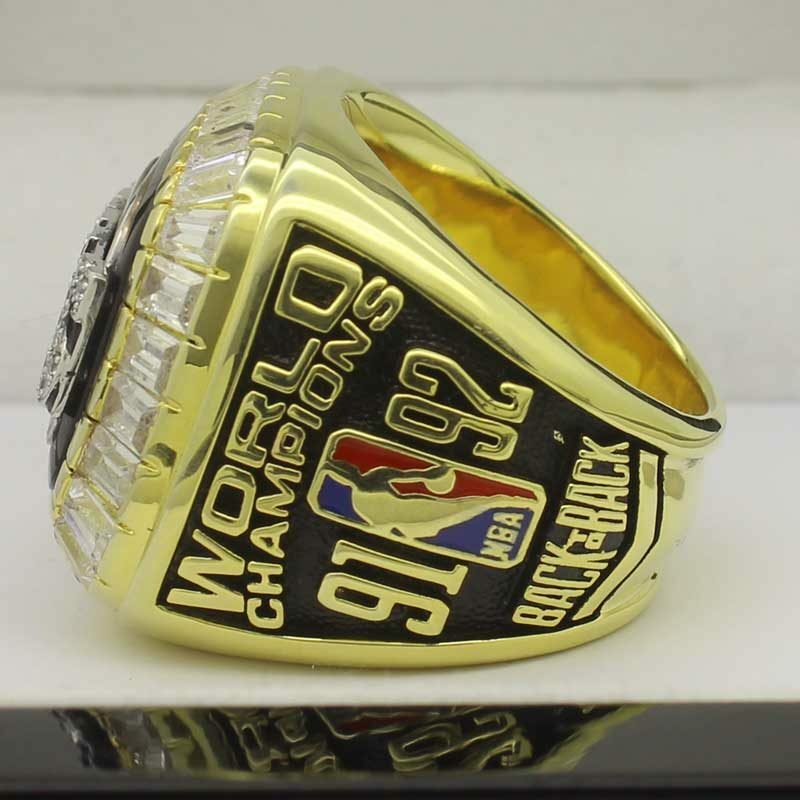 however, the game which led the team to win the 1992 NBA championship ring was much more excellent. 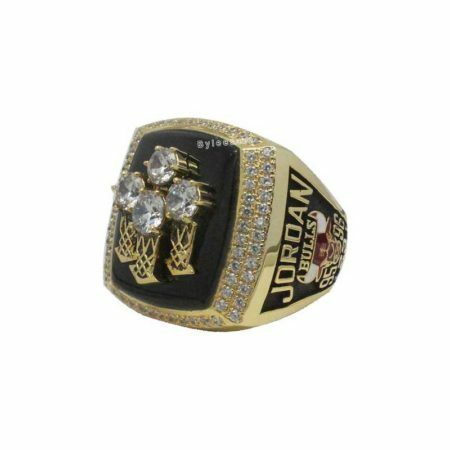 In this finals, Jordan set an NBA record with 35 points in the first half; after his sixth three-pointer, he turned around and shrugged toward the announcers’ table. 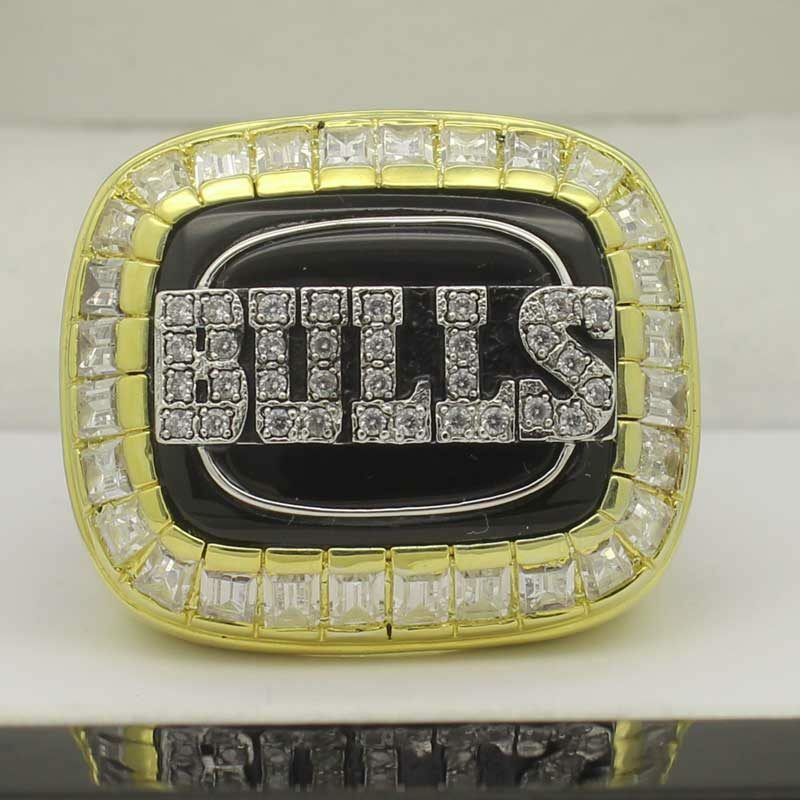 It was another legendary moment for No. 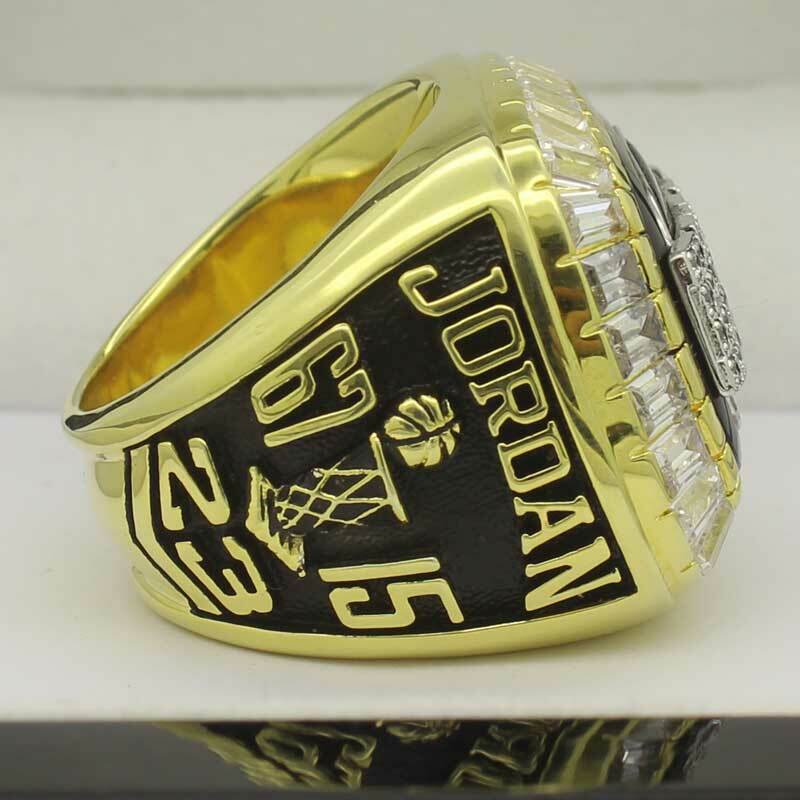 23–the famous Shrug, and it was regarded as the 25 greatest Greatest NBA Finals Games of All Time.